Kia ora! 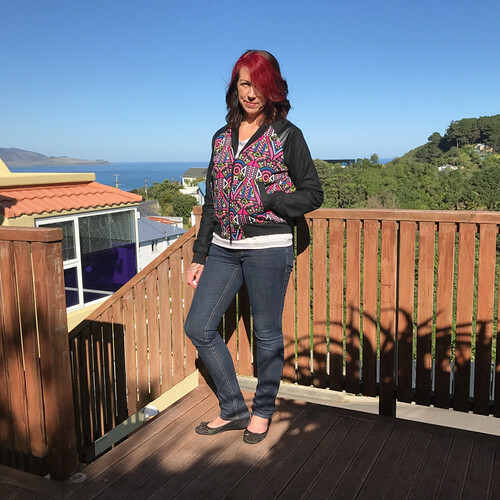 Sadly summer is now well gone here in New Zealand, but given that some of you are looking forward to when summer arrives I thought it's not to late to share some of my summer sewing with you. The pattern pieces for the maxi dress are joined at the waist, so I simply took took the top pattern pieces and extended them my 9". For this version I followed the lines of the side seam when extending the length, but they weren't straight, so this top is very snug around the hips. It drapes beautifully and is super light, perfect for summer. You'll see from the pic that I switched the fabrics around for the back insert. Lining on the outside. It seemed such an easy make and a really enjoyable sew that I immediately went to the fabric stash and selected another piece of fabric to make a second version - this time fixing the room around the hips by extending the side seam of the front pattern piece straight down parallel to the grain line. This version is made with some beautiful silk crepe de chine from Drapers Fabrics and lined with some white cotton polyester. Sadly it appears that Named Clothing Patterns no longer have this pattern available in their store. But hey, any of their patterns are worth buying ... if only I could sew all day every day, I would make all their patterns. Kia ora! Today is ANZAC Day, a national day of remembrance in Australia and New Zealand that broadly commemorates all Australians and New Zealanders "who served and died in all wars, conflicts, and peacekeeping operations" and "the contribution and suffering of all those who have served". It is always 25 April, regardless of what day of the week it falls on. This year is a Wednesday, a day off in the middle of the week is a real bonus. I thought I would make the most of the day off and get into some sewing ... but first I thought I would share what's been on my sewing table lately. 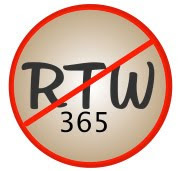 When I moved my blog in March I was about to start Marfy 3885 .... this is how it turned out. 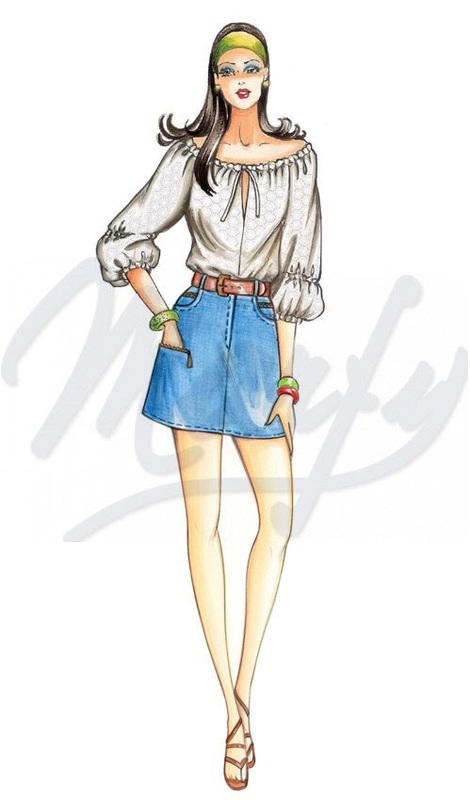 It's a really interesting pattern that combines features of a jean skirt with the flare of a quarter circle skirt. 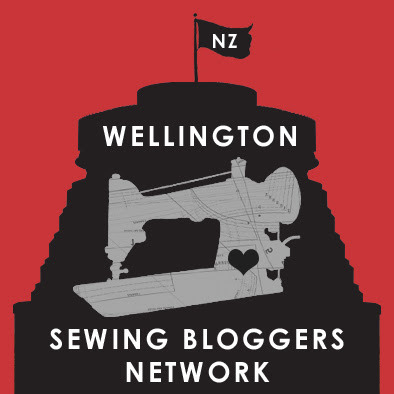 Kia ora and welcome to the new home of my blog. 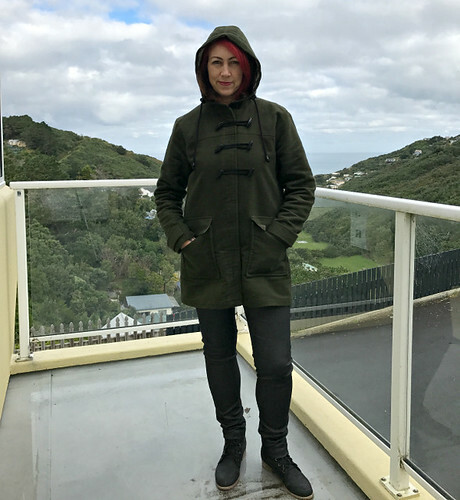 We have had the most amazing summer here in Wellington (New Zealand), but sadly it's coming to an end and there is a sense of Autumn in the air. While Summer is my favourite season Spring and Autumn are great for making the most of my wardrobe twice a year. This version is actually my second make (haven't managed to get good photos of the first one yet - watch this space). I made a size XXS/XS without any fit adjustments. What I did change though was the self lining of the sleeve. The pattern says to self-line the sleeves with the main fabric, but I found that with my first Sapporo it kept pulling my the long sleeve of my top underneath. Instead I drafted a 2" facing for the sleeve hem and then cut the remainder of the sleeve from lining. It's a new year and time to refresh the blog. I've never been super happy with the original name I chose for the blog, it was a "it will do" moment when I started the blog. 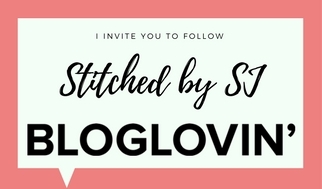 So first things first if you would still like to continue following me, and keep up with my sewing adventures, please update your blog reader. A few years ago I had labels made with my Maori name "Ahenata", and I sew a label into all the garments I make. To give a bit more cohesion to my 'me made' journey I felt I needed to make the blog a better fit. I'll keep the label name Ahenata and add the tag line "stitched by SJ", yep that me :-) and which is the perfect new name for the blog. So with all that housekeeping done, it's time to go do some sewing. I'm currently working on Marfy 3885. Kia ora! In December last year, after purchasing and watching the new Susan Khalje class on Craftsy "The Couture Lace Skirt", I pulled my unfinished skirt block from the depths of the muslin pile and decided I needed finish it. To be honest, I don't wear a lot of skirts which is why I've never bothered to finish it, but I really really really want a guipure lace skirt. I didn't want to start with having to find a skirt pattern then go through the fuss of fitting it for my body. The toile felt more than a little snug around the hips so I added 1/2" to the side seams of the pattern, giving a 1" ease, then got out some remnant fabric and proceeded to sew up a skirt. Hmmmm, it didn't fit! It was way too big and almost fell off my hips. Yeah, I know, I should have done a fitting once I got the side seams together, but it was December and the end of a long year! Anyway, I made some tweaks to the pattern, dived into the stash again for more fabric and made another - okay it was a boring black skirt! But hey, I made sure the lining was fun. And who doesn't need a black skirt, right. Kia ora and happy New Year! As I sit on the plane returning home after eight intense days in Melbourne I thought I would share the amazing experience that is a couture masterclass with Susan Khalje. I arrived to class on day one looking forward to not only meeting Susan but also to meet Melanie aka Poppykettle. It was so surreal meeting them both - isn't it funny how social media and the internet can make us feel like we already know someone without having met them in real life. After settling into the sewing table next to Melanie we all gathered for some introductions. As it turns out most of the others in the class were returning for a second year of couture sewing under Susan's guidance, but we all very quickly got to know each other and spent the week in awe of each other's work. When I left home I was a little unsure what I was going to make to take full advantage of my time with Susan. Option number one was Marfy 3507, a coat-dress. I'm in love with the collar and zippers of this pattern. This has been the year that I've pretty much sewn two of everything! Rather than chat further let's looks at some photos of this year's entries into the wardrobe. Kia ora! This is kinda exciting ... well I'm excited anyway. I was flattered when I was contacted by Hawes and Freer to see if I was interested in participating in the launch of their new website. Now, little did they know that I often stalked their website drooling over the beautiful wool coating and while I wanted to say yes, I really had to think carefully about whether I could commit the time. As you can see I said yes! I was planning to make another Albion Duffle coat this winter, so this was the perfect opportunity when I was shown the beautiful range of lightweight moleskin available from Hawes and Freer. What colour to choose???? After changing my mind over and over I settle on the olive green, with a army gingham for the lining. It all arrived beautifully packed and labeled. When one bomber is just not enough! Kia ora! I know it's April but I want to take you back six months to October last year. The weather was beginning to get warmer, daylight savings was about to start and I felt that I needed more casual clothes in my wardrobe. Or was it I was just looking for a quick fix, instant gratification kinda project?!? This is when I decided that I needed another bomber jacket in my life. I had previously made the Rigel Bomber by Papercut Patterns but at that time I forgot to check the sleeve length, and every time I wear it, it annoys the sh*t out of me. This time I made exactly the same size as my previous jacket, adding 3" to the sleeve length. I made just one other adjustment this time, removing 1/2" from the centre back of the collar piece. Kia ora! I love to sew and have become obsessed with couture techniques. I'm aiming to have a 100% me made wardrobe labelled "Ahenata". I love fabric and quite possibly spend just as much time in the fabric store than I do sewing! I am participating in the year-long Ready to Wear Fast! Join in, or support those of us who have accepted this challenge! (c) Stitched by SJ (formerly sewist-stitch). Simple theme. Powered by Blogger.